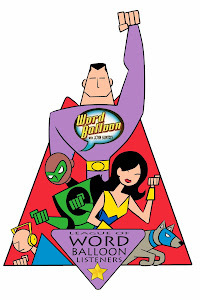 Download The MP3 here On this episode of Word Balloon we welcome back Brian Azzarello who's become coming back to Word Balloon since the very first episode in May of 2005. We talk about his latest collaboration with Eduardo Risso, the Vertigo Sci-Fi mini series Spaceman , now collected in hardcover format. Brian explains the inspiration behind the story and explains why he doesn't watch reality television. Then we talk about his 2 Before Watchmen mini series Comedian with JG Jones and Rorschach with Lee Bermejo. Azzarello goes in-depth about his approach to both characters and the whole controversy behind the project. We wrap up talking about Brian's take on Wonder Woman with artists Cliff Chang and Tony Akins. Then we catch up with DC executives Bob Wayne & John Cunningham to talk about the October Diamond order numbers. We also discuss the recent decisions behind ending Hellblazer and rebooting the book as a DCU title Constantine. Plus information on the upcoming details of the 2nd DC audience survey conducted earlier this year. Next Chicago Bear Defensive Lineman Israel Idonije joins us to talk about his plans for a new comic book company and Superhero series called The Protectors. Idonije wrote the series bible and is collaborating with Ron Marz and Bart Sears on the comic. 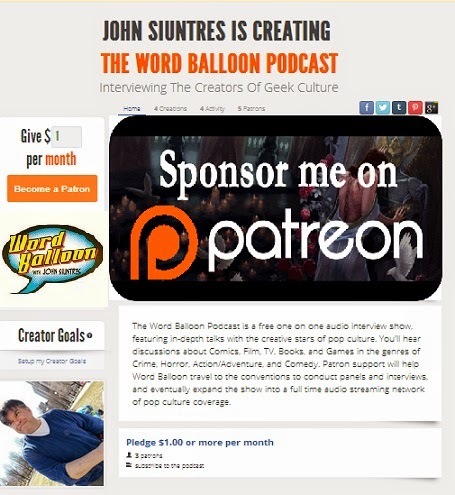 Izzy tells about his long love of comics and what he wants to do with the series. We also sneak in a little NFL talk. Finally Jesse Blaze Snider joins the show to talk about his current comic work which fans of his Muppets and Toy Story comic book work for BOOM! Studios might think is a 180 degrees turn. Jesse has rebooted the Evil Ernie series for Dynamite and talks to us about his plans for the series, and redesigning the entire EE universe for a 21st century audience. Snider has great love for Ernie's creator Brian Pulido and all he accomplished in the Chaos Comics days, but felt the characters needed some tweaks for today's fans, and to stand on their own, rather than old roles serving as support to Pulido's Lady Death series.